I've seen this car a couple times in the past at various "retro" car shows, as these things are called in Japan. I thought today might be a good day to talk about this car, as I try to clear out my massive backlog to get ready for 2017. And I mean MASSIVE. I can probably do a post a day, and not dent the back log. In fact, let's make that a challenge, shall we? I pledge to post at least once a day, until New Years. Then we will see what happens. Anyways, back to the article at hand. A few things we are going to talk about is how this thing came about, what options it had, and what current (kind of sad) lineage this car has led to. This particular car is a little bit younger than that, though. I would actually date this car around 1973, and I'll let you know why a little further down. 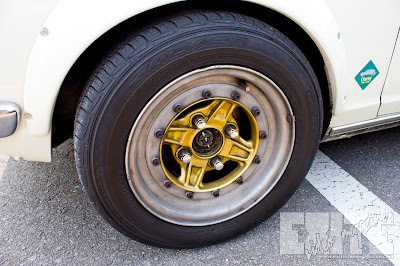 For the life of me, I cannot ID these wheels. I've looked at several types, but all of them are slightly different from this wheel. Can anyone help me out with that? The arches on the other hand are made by.... Nissan. That's right, and along with the badging, the factory arches make it easy to see that this car is at least a 1973. That's the year that Nissan came out with the X-1R designation that included factory wheel arches, and an updated grille, which you can see clearly in the first pic. 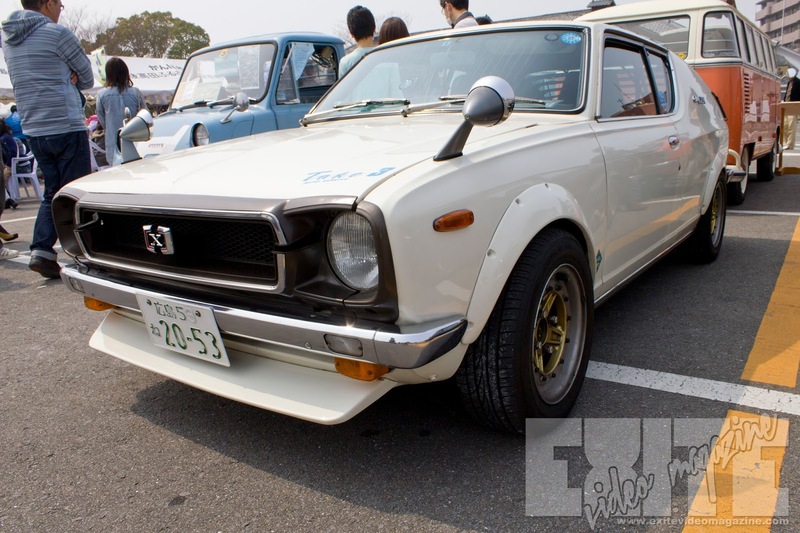 The Nissan Cherry ceased production in 1977. 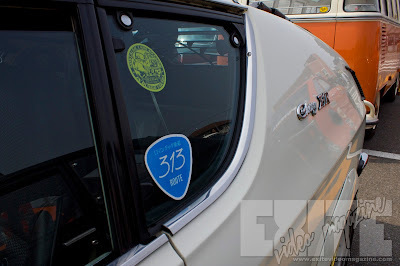 The 313 logo in the lower left of the rear quarter glass is a reference to Japan National Highway Route 313, which runs through Hiroshima. This car might have traveled a bit to get to Bungo Takada. 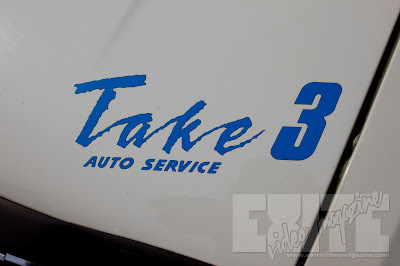 I'm assuming Take 3 is the name of the shop that did the work to this car, since I didn't get to talk to the owner. 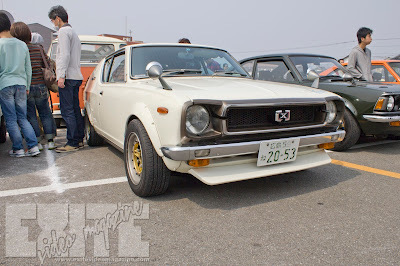 Also, the hood was down, so I have no idea of knowing if the engine was modified at all, even though I highly doubt it. The factory engine that came in these things was an A12 with a displacement of 1171cc which today we would probably call a 1.2L. The X-1R models also came with twin Hitachi side draft Carbs from the factory. So what did this car go on to become? The Nissan March and Micra.... not cool at all. 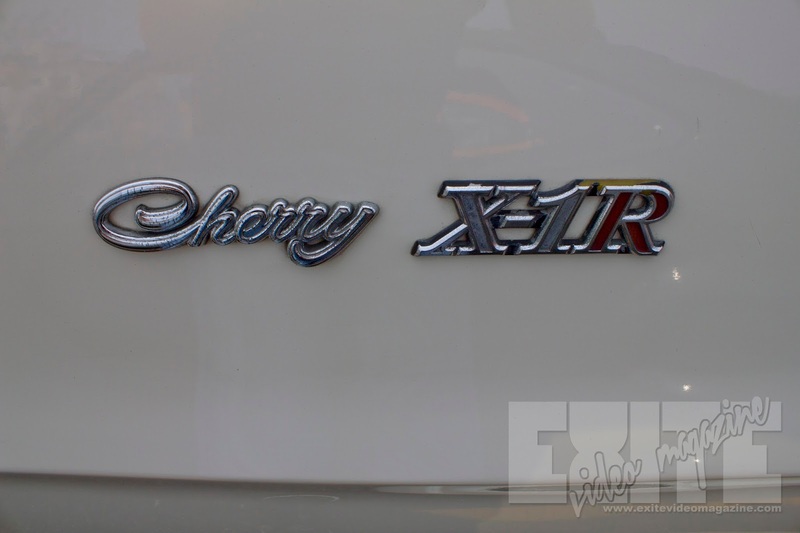 However, in Europe (especially Britain) the Cherry had a passionate devoted following. 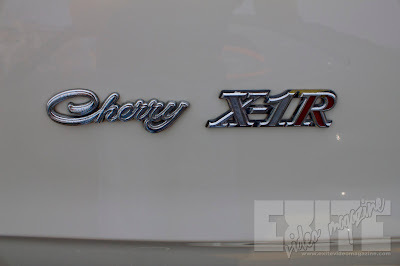 So when they ended the Cherry line, they moved the name over to the more respectable Pulsar line up. So we can maybe stretch it to say that in Spirit, it became a Pulsar. Yeah.... that sounds better. Hit me up in the comments below, and don't forget to like, follow, subscribe to our Facebook, youtube, and Instagram! Thanks for the love and support!